The Hoover HO423/6VX Fan Oven is premium quality oven which is has 3 functions. It has a Touch Control Led Programmer. It also has a LED vision lighting and integral fan cooling and assisting system. It is available in black colour. 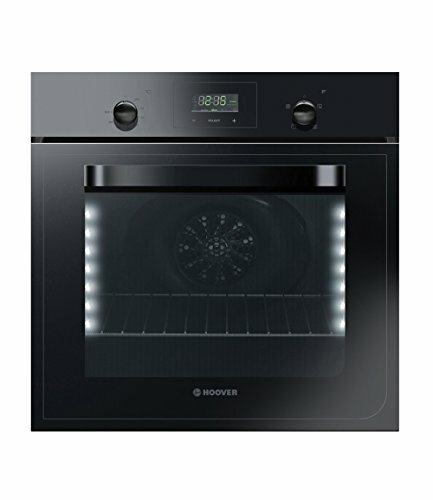 The hoover HO423/6V Fan oven is a premium quality oven which is equipped with a safety self-system. It is has 2 shelves and one roasting tray. The oven has double glazed doors with two glass panels and oven light. The Hoover HO423/6VX Fan Oven is easy to clean and has a dimension of 59.5 x 59.5 x 55 cm with a capacity of 65 litres.